The Conservatives in Britain are the most successful right of centre party in Europe, not just in having been in power so many times and for so long, but in having successfully pursued the most right-wing agenda of any mainstream European party. During the 1980s and 1990s they succeeded in changing hearts and minds. They were to transform the UK from being one of the most equitable countries in all of the continent in the 1970s, to the country which now consistently tops the OECD league table for income inequality in Europe. A league table shift of such great magnitude does not happen by accident. On health, Conservatives succeeded in moving the UK from being one of the best ranked in the world in the 1960s and 1970s through to one of the worst countries in Europe for health outcomes after their period of hegemony. The UK used to have one of the very best rates of child health in the world. However, by 1990, following 11 years of Tory underfunding, six countries in Europe had lower neonatal mortality rates than the UK, but that was just the start of the decline. By 2015 the UK ranked 19th for neonatal mortality across Europe. Most recently the situation has become far worse, as infant mortality in the UK has risen year after year from 2015 onwards. Nowhere else in Europe has it risen. Similarly, but for separate reasons, overall life expectancy across the UK peaked in 2014 and has fallen since. Again, nowhere else in Europe has a record of change as bad as this. And again, such an extreme record does not happen by chance. It requires a huge amount of work to shift a country from being so successful in terms of comparative health outcomes, to so unsuccessful over such a short space of time. They are indeed competent – at making life much worse for most people. In the face of Tory individualist logic, Labour needs to be far bolder. Working with Michael Davies recently I wrote a paper for the Progressive Economy Forum titled Jubilee 2022: Writing off the student debt. In it we explained why it was both right and practical for Labour to include a promise in the next election manifesto to cancel the vast majority of outstanding university student debt for all those students who went to university in 2012 or thereafter. The policy makes good economic sense as well as being fair. And, in a country where half of all young women now go to university, and where people have been made to think so individualistically, it also makes brilliant political sense. Almost everyone who went to university between 2012 and 2018, and those who will go in 2019, 2020 and 2021 (and those thinking of going in future, and their families) would have an obvious extra incentive to vote Labour at the next general election – as would their parents and grandparents – but only if Labour promises to cancel most of the outstanding unfair debt. We don’t just need to unravel the recent errors of Conservatives. That is just a first step to make a promise that if you vote Labour it will be as if the introduction of £9,000 a year fees by David Cameron and Nick Clegg never happened. Labour also need to offer something so much more enticing than a ‘national service’. I have many ideas, but so do you, and so do many others. You don’t build a good set of sand castles on the beach alone; and you always have to be wary for those who would try to destroy what you have made. Jubilee 2022: Writing off the student debt is a small castle that I built recently with Michael and the help of a few other experts on student finance, I’m quite proud of it. Would you like to make a castle to go next to it? Perhaps suggest a better pre-school policy or housing policy, to add to all the beautiful landscape of all the proposals that are already being suggested? The Wreckers, Fabian-Review-Spring-2019 / Fabian Review Essay, Volume 131, No. 1, pp. 21-23. For a PDF of the article click here. 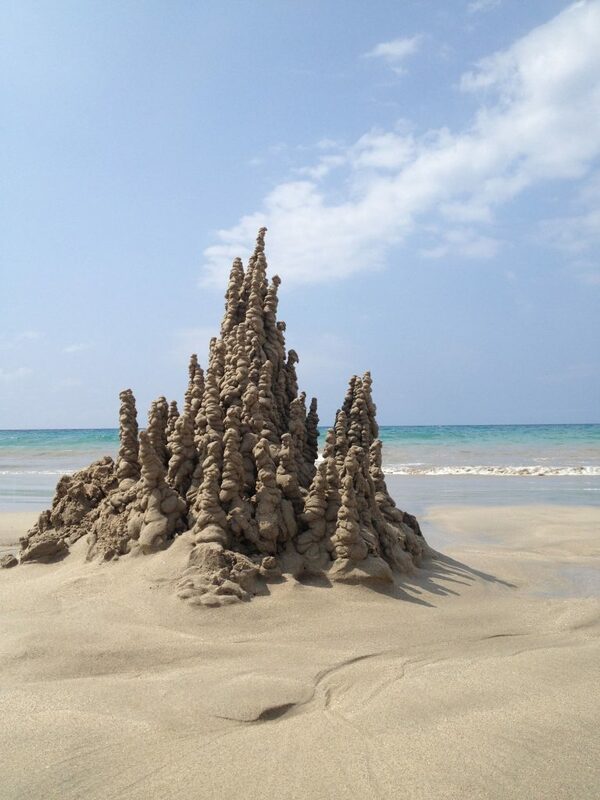 A Drip Sand Castle – It’s easy if you try.